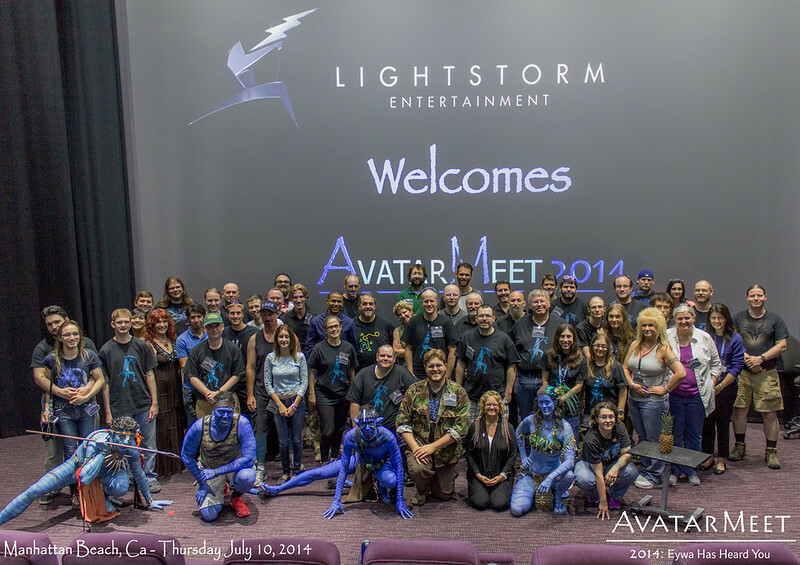 For any of you who took pictures during AvatarMeet 2014, feel free to post them in this thread for everyone to see. Obviously for any pictures involving the Lightstorm visit, be sure you do not post anything that breaches the NDA. Looking forward to seeing everyone's photos! I've finished uploading all of the photos, including the ones from Lightstorm Day. I went through the photos carefully, but if I goofed and there's something up there that shouldn't be, please let me know. Next, I'll be adding captions & commentary. As always, let me know if you want an unwatermarked copy of anything. Yes, Irayo to all for sharing your photos! I love seeing them. In the coming week I plan on posting a link to my AvatarMeet photo album(s) too. Awesome picture collection ma Alan, also for peoples was not on the meetup! I've breezed quickly cos I have to go - but so nice to see the familiar faces really, like a family reunión photo and new faces of course! I'll see more when I have more time - but irayo to all for posting, hell yeah guys, keep going! Actually, I am Alec, I new attendee and professional photographer, among other things. Has Alan posted some photos too? I'd better check.